We have gathered helpful endangered adult resources and documents in one place. If you would like to see the endangered adult programs Texas Center for the Missing offers to our community, please visit our Presentations page. The Alzheimer’s Association is the world’s leading voluntary health organization in Alzheimer’s care, support, and research. Find a local chapter or support group, use their 24/7 Helpline, and access their comprehensive tips and resources for those living with Alzheimer’s or dementia and their caregivers. 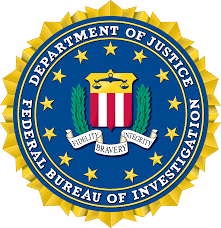 Protect your elderly loved from identity or financial theft by reviewing this list of the most common scams that the FBI investigates, as well as tips to help prevent you from being victimized. SeniorGuidance.org is an organization dedicated to providing senior living assistance to the elderly. In addition to providing a number of helpful senior living resources and articles, they enable seniors and caregivers to search and find 40,000+ long-term care facilities in more than 7,500 cities across the United States. The Senior Guidance Directory has been Houston’s “Caregiver’s Bible” for close to 20 years, serving greater Houston and its surrounding counties. This comprehensive collection of resources is provided for the benefit of the community, especially older adults and the caregivers and professionals working to serve them. The Senior Guidance Directory is a publication of United Way Care for Elders, a division of the United Way of Greater Houston. Shelter Listings is dedicated to serving the homeless and low-income. Our shelter list consists of over 4,000 listings and includes emergency shelters, homeless shelters, day shelters, transitional housing, residential drug/alcohol rehabilitation programs and permanent affordable housing. You can use their database to find local shelters where runaway children or missing family members may be located. Sheltering Arms Senior Services is a Houston based nonprofit organization committed to the health and well-being of older adults and their family caregivers. Their mission is to promote the dignity and independence of older adults through service, advocacy, and support for caregivers. They provide numerous resources to the community including guidance to caregivers and families, case management, home care, and The Day Center. The Shepherd Program is designed to collect information in advance of a wandering incident that is both critical in locating a missing person and required by the State to launch an Alert. Participation in the Shepherd Program is voluntary and free of charge. The Friendswood Police Department only requires that you completely fill out an application for the loved one you wish to register.